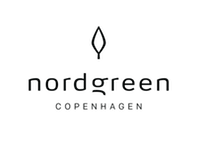 I want to work for Nordgreen. What positions are currently available and whom do I send my CV to? I want to be an authorised Nordgreen retailer / distributor - whom do I contact? How can I verify whether my watch is a real Nordgreen watch? I am part of an NGO supporting a similar cause as you, how do I get in touch with you? I am a blogger/influencer, how do I get in touch with you? I have bought a used Nordgreen watch. How can I see what cause this watch supports? Will I be able to see what my contribution enabled? Do you measure the impact of our contribution? Can I change my selection once I have contributed? Can I select another cause to contribute to, other than the ones listed? How do you select the causes I can contribute to? How can I use my voucher code?